Flavorful, tender, and flaky. Ah, I had tried many recipes, but this trio of culinary pie perfection eluded me. 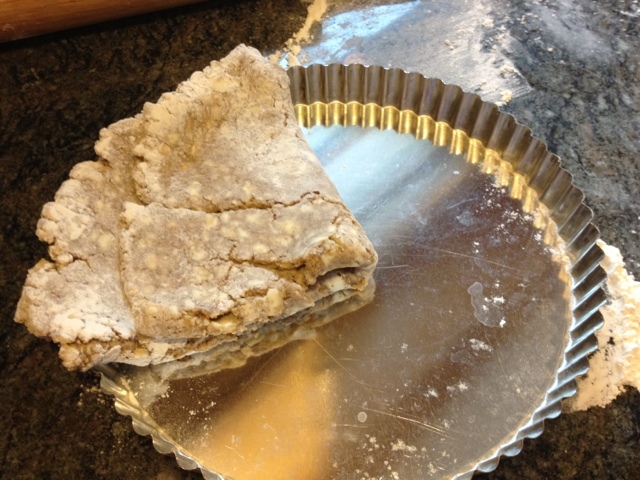 That is, until I took a class at my local library and saw the steps towards creating the perfect crust. It’s one of those things I think you really need to see in order to get it right. This recipe is incredibly versatile. It can be used for fruit pies, quiches, tarts, pot pies, turnovers, baked brie, and anything requiring a buttery blanket. 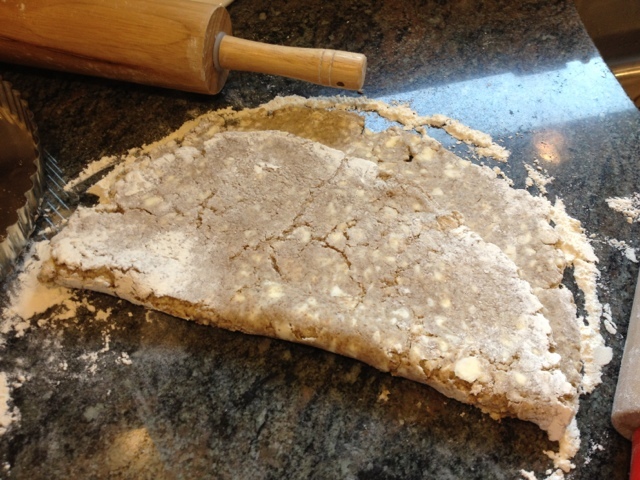 For the pictures, I used whole wheat flour to contrast in color with the butter in order to easily see the desired texture. However, I recommend using all-purpose white flour because it is far more tender. If you insist on whole wheat, don’t say I didn’t warn you and try to find whole wheat pastry flour since it has a lower gluten content (more about that stuff later). The butter, of course, is a must. Not only does it provide superior flavor, the smooth feeling in the mouth is far preferably to that odd coating that hydrogenated shortening leaves behind. 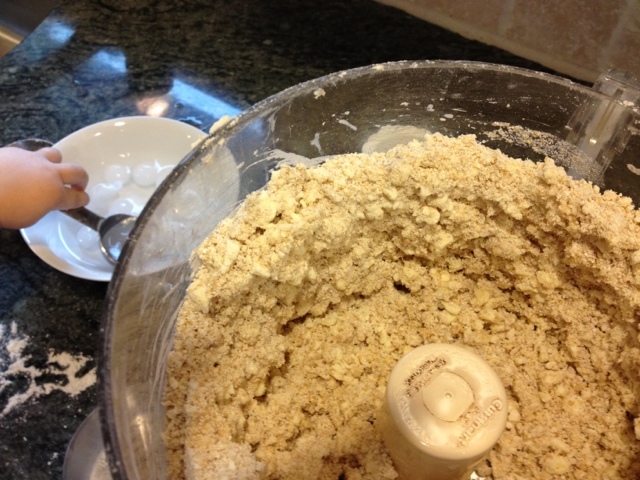 Whisk all the dry ingredients together with a fork, pastry cutter, or food processor. Add cold butter. 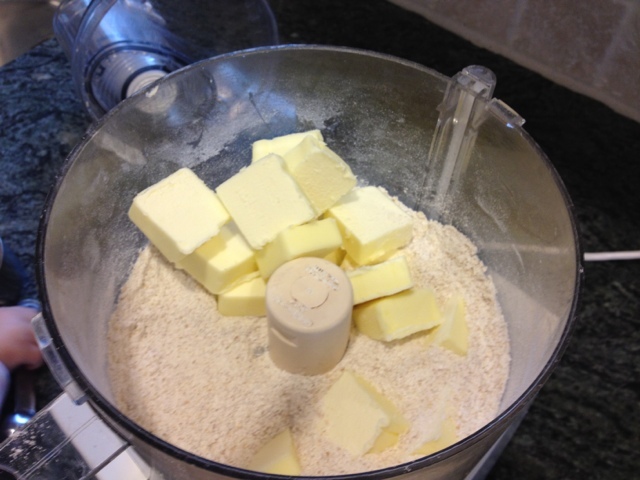 Blend until the butter is in pea-sized balls. If you are using a food processor, several pulses should do the trick. Add the ice water and blend/pulse. This is where things like the humidity in the air and your ingredients, temperature, and mixing style are going to effect how much ice water you’ll need. The 6 Tbsp might be enough, but I’ve had to use as many as 15 Tbsp on a dry winter’s day. How do you know how much then? If you’re using a food processor, add a Tbsp then pulse until you see that it just is beginning to climb the sides and clump. 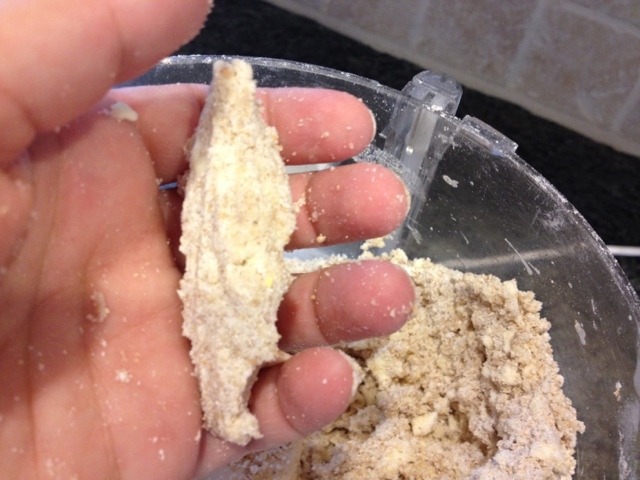 However, it is vital to the texture that you do not overwork the dough. Why? 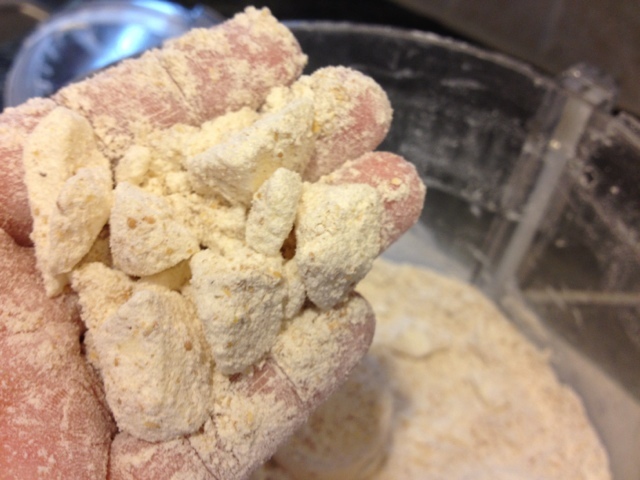 The more the dough is handled, the more gluten that is created, which makes for a tough crust. Yuck, we want tender! So mix the dough as little as possible to bring it together. You know you’re there when you squeeze a handful of the dough and it forms a ball. 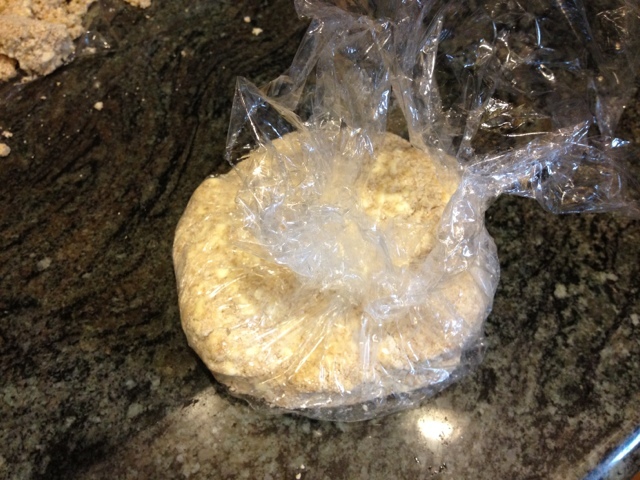 Divide the dough in half and place on two pieces of plastic wrap. 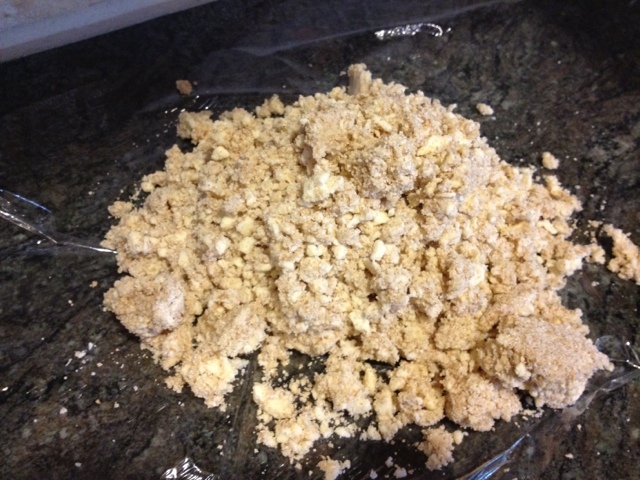 It can still be quite crumbly at this stage. Use the plastic wrap to help form it into a uniform ball and flatten into a disk for easier rolling later. 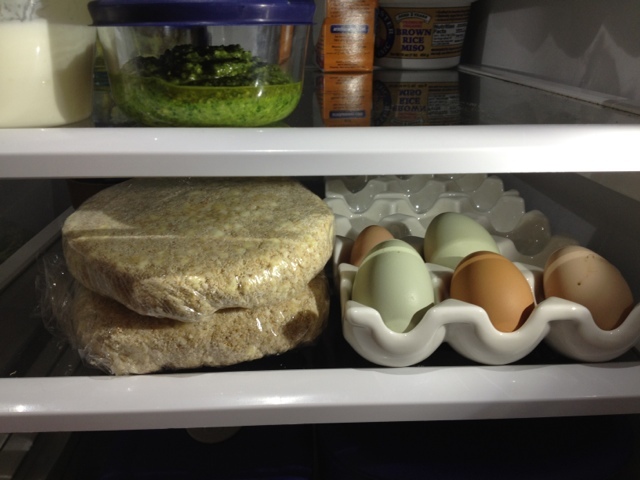 Store in the refrigerator for at least one hour or up to overnight before rolling. I find that that longer that it is chilled, the easier it is to roll out because the flour is truly hydrated during its vacation in the fridge. It also freezes beautifully. Just defrost prior to rolling out. 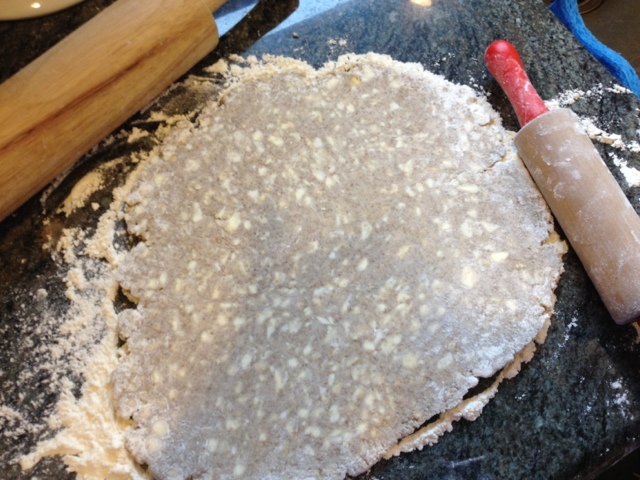 To roll out the dough, use a rolling pin and a heavily floured surface. The goal is to make sure after every roll that the dough is still moveable. How do you know? Rotate the dough a quarter turn after each roll. 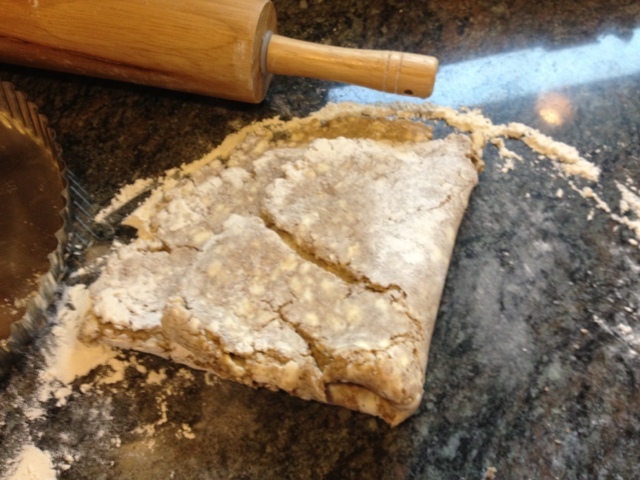 If it is sticky and does not move easily, add more flour underneath and on the rolling pin. So roll, turn, roll, turn. Yup, you get the idea. Below you see where the whole wheat flour reveals how those pieces of butter are quite visible and how they will become the flaky layers of goodness once baked. and then in half again. Now you can easily transfer it to a pie pan, tart pan, or cookie sheet. How about baking? Well, it depends on what you are making. This recipe can be used whenever pie or tart crust is needed and just bake according to the recipe. 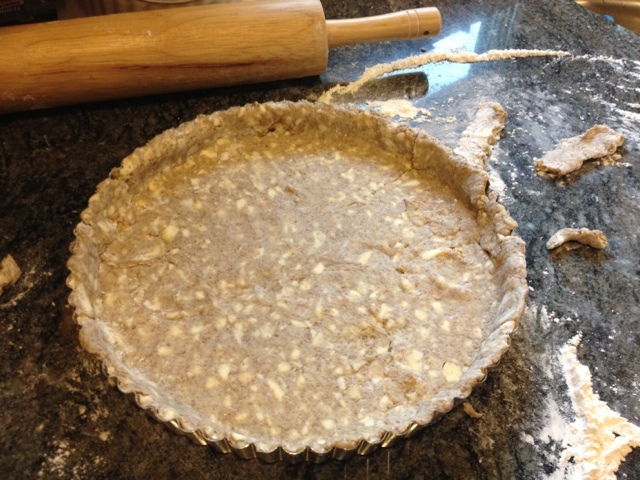 This recipe yields two disks of dough, which can make two tarts or open faced pies or one pie with both a top and bottom crust.